Sure, Maine is all about the lobster. But if lobster is not your crustacean of choice, we’re serving up some of the best crab in the country, too. Both rock crab and Jonah crab are caught year-round in the Pine Tree State. 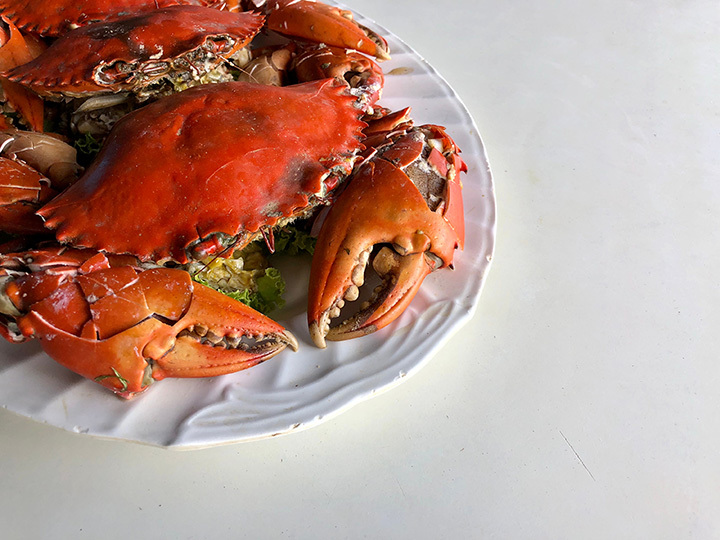 Whether it’s served up on a roll or mixed into a sauce, these 10 restaurants are serving up the best crab options in Maine. Opened seasonally on Chauncey Creek River in Kittery Point, you can arrive by car or boat to this popular seafood joint. Sure, they have tons of lobster. But, they also served up a pretty darn good crab roll too. It’s also BYOB! You’ll find Barnacle Billy’s, the original lobster shack, and its younger brother, Barnacle Billy’s, Etc. overlooking Perkins Cove in the coastal tourist town of Ogunquit. Both seafood shacks offer crab dishes on the menu. Choose from crab cakes, crabmeat rolls, or a crab plate. All crab is caught locally. Kennebunkport has no shortage of seafood shacks, but most serve only lobster and clams. Located on the tip of Cape Porpoise, the Cape Pier Chowder House is famous for their crab cakes. Order a plate of three crab cakes or a crab cake sandwich. If you would prefer fresh meat, the Maine crab roll is quite good, too. The crab roll here is to die for. Open seasonally from March through October, the Lobster Shack offers incredible views of the Maine coastline. Munch on your crab roll crab meat salad while the seagulls fly above. Finish your meal off with a delicious homemade dessert. You can’t go wrong with a Maine whoopie pie! Day’s Crabmeat & Lobster in Yarmouth is probably the only place in Maine where you’ll see crab before lobster. Located one Route One, Day’s has been around for over 70 years. The crabmeat is hand-picked and delicious. You won’t find seafood fresher than at Five Islands Lobster Co. where the local lobstermen drop their bounties every day. With breathtaking views of the island Five Islands Lobster has an extensive seafood menu. Their crabmeat roll is dressed in mayo and served on a grilled burger bun while their “Somewhat Famous Crab Cake Sandwich” is all crab and no breadcrumb. You can’t go wrong here. You know the crab is good when it was featured on “Throwdown with Bobby Flay!” The Lobster Dock in Boothbay Harbor is home to the famous “Throwdown Crab Cakes” that is served with their signature remoulade sauce and summer salsa. With a yellow tent roof, Thurston For Lobster serves up their own lobster and seafood that was freshly caught that day. Feast on several crab dishes like Joey’s crabcakes, Crab Louis Dip or the Crab Roll while watching the lobstermen haul in their traps. Open year-round, Young’s Lobster Pound has a huge deck overlooking Penobscot Bay so it’s best to visit in the summer for your seafood fix. Try Young’s crab roll or crab salad—they are both delicious. If a seaside lobster shack isn’t your style of eating, skip the red-and-white checked table cloth in favor or Street and Company, an award-winning fine dining restaurant in Portland where you’ll find local crab on the menu. Don’t expect to see a crab roll as their Maine Crabmeat dish is served with avocado, wild sea beans, and organic greens. And, it’s sure to please.